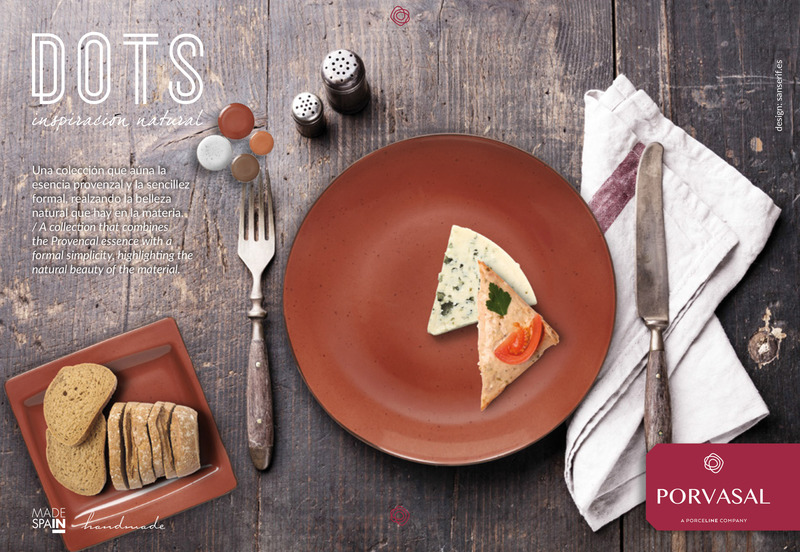 The manufacturer of porcelain tableware for hostelry made in Spain remain confident in Sanserif.es for the presentation of new collections of ‘Dots’, the latest dishes presented by the Valencian company at the Ambiente Frankfurt Fair. 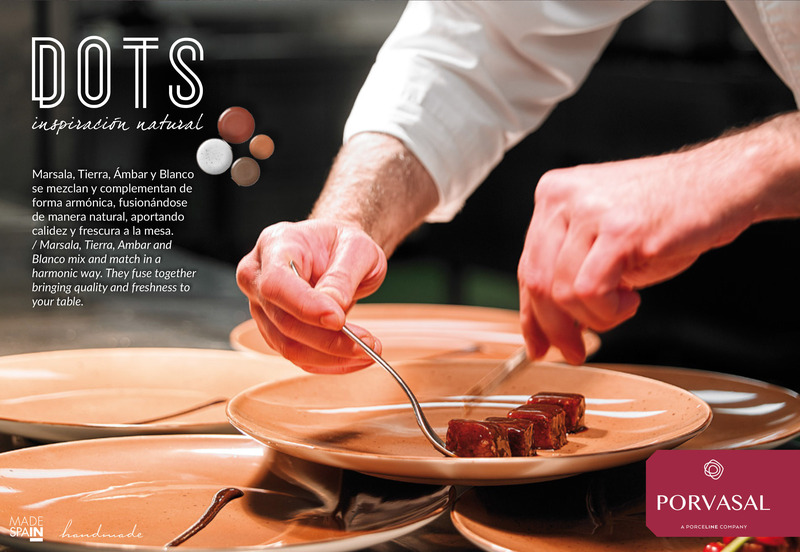 Porvasal remains among the leading brands in the industry with a progressive growth, which is also reflected in the incorporation of new technologies like stall for enamelling to decorate their dishes. The new Dots promotional presents a great number of dispositions for its location in exhibitors and shops; also for the use of distributors and commercials, with a schematized and complete information of the collection and the different pieces that make up. A new challenge in collaboration with the management team of the firm and estragency. The promotional follows the new aesthetic line marked by the designer Ana Yago in the catalog of the company for 2016.